Future-ish: RobotWatch | Can We Fall In Love with Robots? RobotWatch | Can We Fall In Love with Robots? 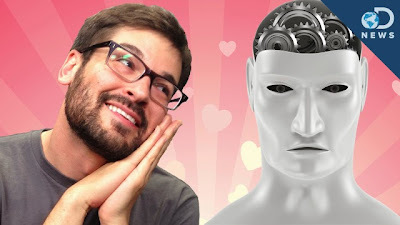 In this Discovery DNews Life Video, Can We Fall in Love with Robots?, Anthony Carbino reports on the potential and perils of humans becoming emotionally attached to robots in Given what went down with Battlestar Galactic, we should all pay close attention.